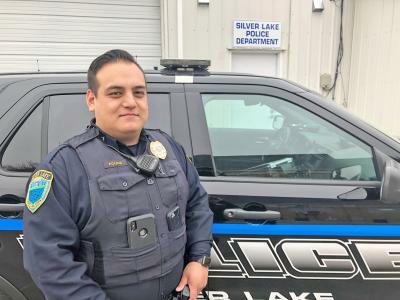 When Ian Coates, 25, accepted Silver Lake’s open police officer position, it became his first job as a full-time officer. A Glencoe native, born and raised, he recently acquired a house in the area, so Coates plans on a long career in local law enforcement. He’s also worked in the McLeod County Sheriff’s Office, the McLeod County Jail and in the Mankato Police Reserves. For Coates, his career seemed decided from a young age. His grandpa, who served in the military, was a role model and a significant factor in his earliest pursuit: the military. Coates drew his passion from his grandpa, where he discovered patriotic values and the respect people in uniform command. Coates knew there wasn’t a high probability of induction to the military — he’s already had invasive heart surgery three times.